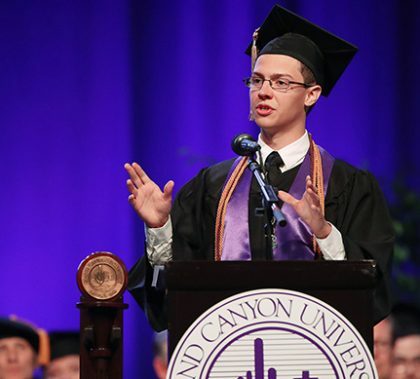 The first of eight spring commencement ceremonies at Grand Canyon University featured the Colangelo College of Business and the College of Fine Arts and Production. The student speaker, Josh McGuire, has been a thriving entrepreneur on campus, but he’s not the only CCOB grad who has worked hard. For them, it’s not business as usual. Children’s Cancer Network and Fresh Start, two non-profits, had similar problems: They needed some kind of messaging app to help them be more efficient. 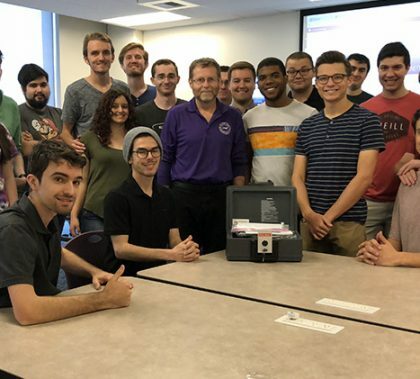 Enter GCU’s first cohort of Java coding boot camp students, who built apps to help solve those problems. 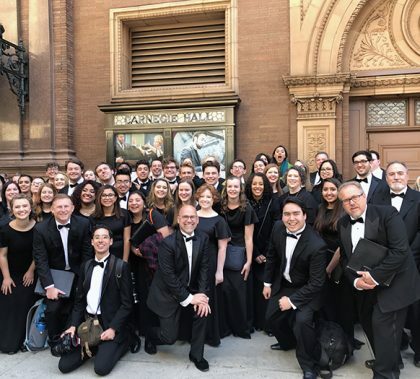 The students, who are in the final week of the immersive, 15-week course, presented their capstone projects recently. 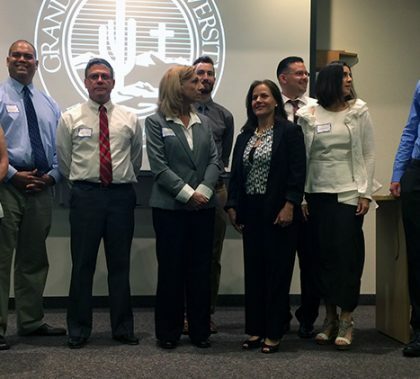 It was in 2014 that GCU launched its computer science program. Four years later, 18 students will become the first to graduate from the University with bachelor’s degrees in computer science and computer programming. They will walk the stage at commencement on Thursday afternoon. Dr. Deb’s Mental Health Vitamin: Show your emotions! Commencement is a very emotional time, and Dr. Deb Wade addresses that in this week’s Mental Health Vitamin. She says emotions are God-given and God-endorsed. 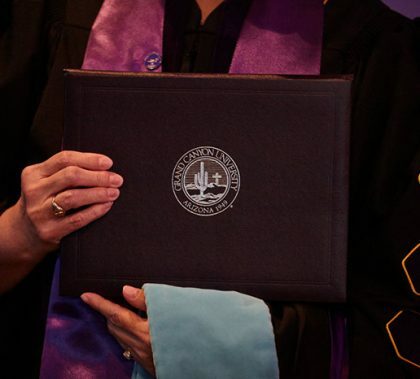 Grand Canyon University will confer 9,009 degrees this semester for its traditional-aged and working adult students, with many of those participating in eight commencement ceremonies April 26-28 at GCU Arena. Like Hulk, GCU smashed at the recent DC vs. Marvel night at the Arizona Science Center. 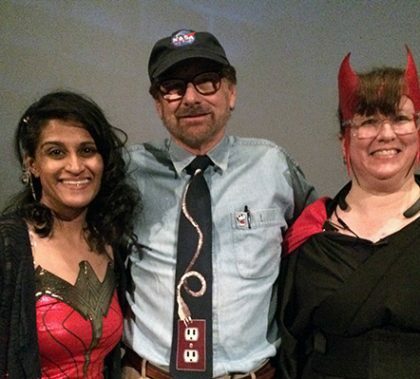 The College of Science, Engineering and Technology’s Dr. Binaben Vanmali, Scott McCrea and Deborah Haralson, the speakers at the event, discussed everything from electromagnetic pulses to The Flash’s diet to how villain The Vulture couldn’t possibly fly in that suit of his. 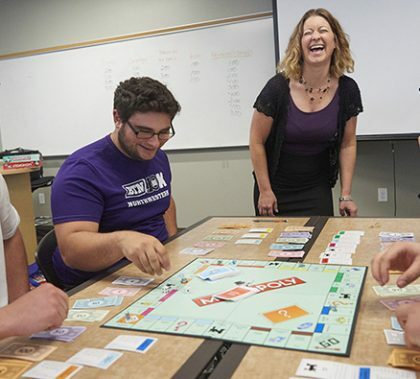 Dr. Kelly Damron, who teaches accounting in the Colangelo College of Business, recently won a major award for the way she makes her classroom come alive. How does she do it? You might say she has a Monopoly on her ideas, and she’s never in Jeopardy of students thinking her class is dull.